I’ve just added a couple of new paintings to my In Our Veins series online. Both are featured in my recent newsletter. 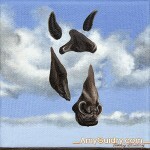 Parting is an acrylic on canvas, 4″ x 4.” Resilient is also an acrylic on canvas, 6″ wide by 4″ high. 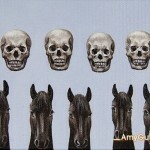 View the paintings online here http://amyguidry.com/parting.html and here: http://amyguidry.com/resilient.html. – Wrap the front and sides of the canvas with glassine paper. This can be found online at just about any art supply shop. Be sure to tape the paper to the back, not the front of the canvas. 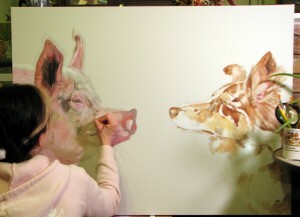 – Then wrap the painting front and sides with a sheet of mylar. I like Grafix Dura-Lar which you can find on Utrecht.com. This helps protect against moisture due to climate/temperature change. – Bubble wrap the painting with large bubble wrap, covering the back as well. I like to then wrap it again with another sheet of bubble wrap. Try to limit the tape to just along the sides to help prevent someone from cutting into the painting when removing tape. – Prep your box for transit. I like the ones offered by U-Line (uline.com) since they have boxes specifically for artwork. I suggest getting one that leaves a minimum 3 inches of space around your painting. – Tape one end of the box together with clear packing tape, covering it horizontally and vertically as well as along the seams of the box and corners. – While the box is empty, I like to mark it with a permanent marker, writing “Fragile” on all sides of the box and I put an “up” arrow along where the top is. Also, it helps the gallery if you write your name (I just use my last name since it’s unique enough) on the box as well. Just be sure that it is away from the “Fragile” signs to help with visibility. – Before stuffing the box, I use a few extra sheets of cardboard to protect the body of the box and the painting. 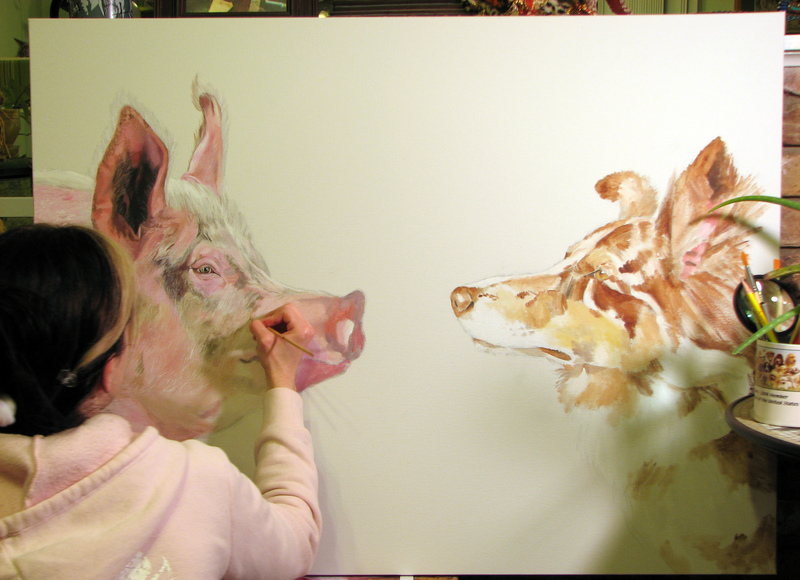 I like to have 2 sheets on either side of the painting, but if it’s really thick you can use one on each side. 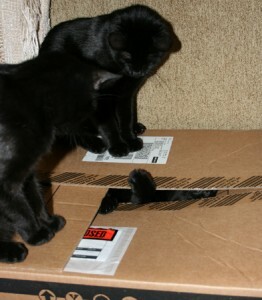 The cardboard should be cut to cover the painting but be just smaller than the inside of the box to ensure a good fit. – When shipping a larger painting, I like to use a couple of sheets of thin wood such as luan, which I get at Home Depot. I will also add a couple of sheets of cardboard as well, if space allows. – Line the bottom of your box with crumpled brown kraft paper or tissue paper. I advise against colored tissue paper or newspaper in case of bleeding. Pack the bottom well, especially the corners of the box. – Place the wrapped painting in the box, between the sheets of cardboard so there are even amounts on each side. If using luan, place the painting between the luan, leaving extra cardboard evenly on each side. – Line the sides of the box with more kraft paper or tissue paper. If the box is large, you may need a dowel or broomstick to help push the paper down the sides to ensure they are properly stuffed. – Finish with kraft paper or tissue across the top of the painting. If including a gallery contract or other paperwork, I put that information in a 9×12 envelope and place it across the top of the painting before adding kraft paper. Then seal with clear packing tape, again going horizontally and vertically. In cases where the work will be shipped back to me, I like to include a typed packing instruction sheet for the gallerist. Make sure your name, contact info, and the name of your painting is on the sheet as well. This way you can ensure that your painting is packaged in the same manner as it was received. One of my most recent paintings in my In Our Veins series has found a new home. Regenerate is an acrylic on canvas, 4″ wide by 6″ high. There are only two small paintings left in the series which can be viewed online here: AmyGuidry.com/Integrate.html and here: AmyGuidry.com/Harmony.html. Back when I was working on “Food or Pet? How Do You Decide?” This is before I had a studio and would work with my canvas propped up on a stool in the living room, sitting on the floor, with paints in a tackle box next to me. 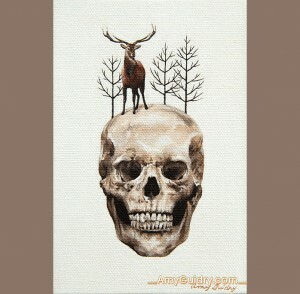 This painting has sold, but view more from this series here: http://amyguidry.com/anti-aging.html. 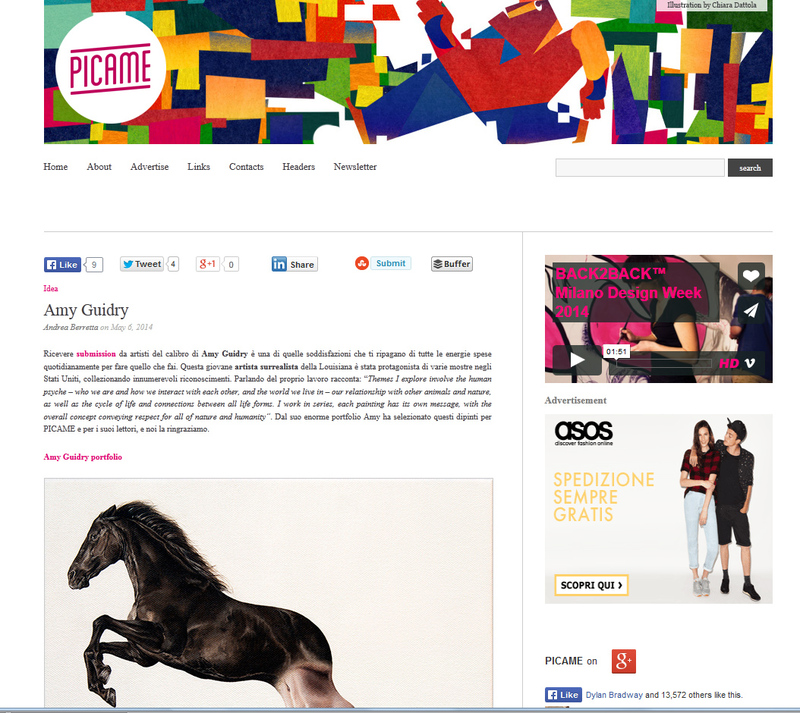 Italian web magazine Picame recently featured my work on their site. Many paintings from my In Our Veins series are featured. Editor Andrea Berretta said of my work (translated from Italian), “Receive submission from the likes of Amy Guidry is one of those satisfactions that you repay all the energy spent each day to do what you do. 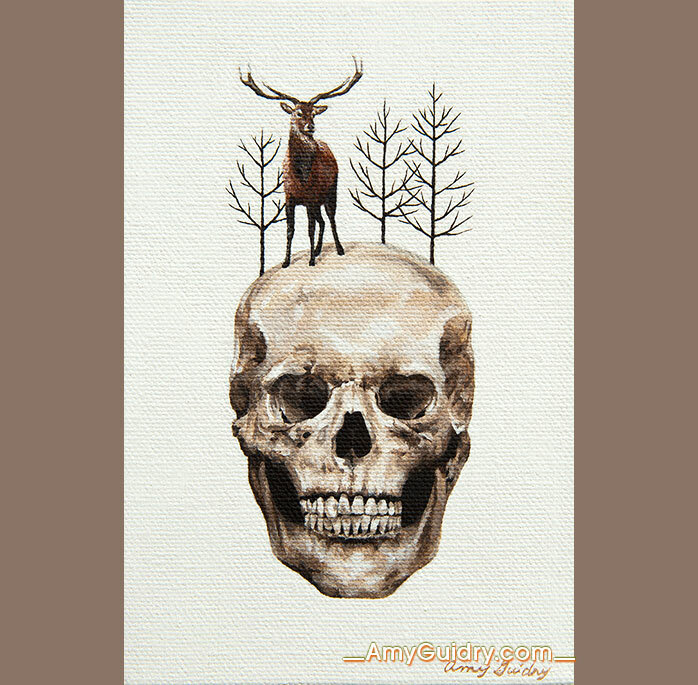 This young surrealist artist of Louisiana has been featured in several exhibitions in the United States, collecting innumerable awards.” View the feature online here: http://www.picamemag.com/amy-guidry/.